Home » Storage Blog » Self-storage vs portable storage: which is the best option for me? When it comes to storing possessions and valuable stock, there are a few options to choose from, one of which is portable storage. Unlike traditional self-storage, portable storage typically consists of a container which is shipped to you. Once you’ve filled it with your possessions, it’s then either shipped back to the warehouse/compound or you can keep it on your land (if you have the space). If you’re not sure whether self-storage or portable storage is the best option for your needs, this guide will help you decide. For many, portable storage offers convenience and flexibility, due to the fact it’s delivered to you – there’s no need to hop in a car and drive to a storage unit. It does, however, mean you need the space to house a container, even if it’s only going to be there for a short space of time whilst you fill it. Loading a portable storage container is easy due to the fact you can walk straight into it: there’s no need for ramps or lifts. If you need to store particularly cumbersome items, this can make a big difference. These containers are also well-protected against the elements; many were originally used to transport goods overseas, and so are resistant to water and wind damage. Thieves will find it difficult to break into a container that’s properly secured. If you’re keeping it in a compound, these tend to be guarded day and night, but the level of security really will depend on the provider. Access to your container may be limited too, again, this is something to check before hiring, unless you’re keeping it on your own property, of course. Some companies will supply modified or converted containers to suit your specific needs. It’s an expensive option, but the freedom this affords you may mean it’s the best choice for you. Portable storage is also ideal for those who are moving their home or office to the other side of the country or abroad, as they can ship everything to their new location with ease. With self-storage, there’s no need to worry about having enough room for a container or the cost of shipping it back and forth from a compound. You can choose to drive your possessions to the self-storage facility yourself, or hire movers to do it for you. There’s also no waiting around, as you can move into a storage unit straight away, rather than waiting for a container to arrive. Security is another weight off your mind: at Titan, our facilities are monitored around the clock by our state-of-the-art CCTV systems. Your unit is secured with a unique padlock, which can only be accessed via a key coded lift. You can access your unit at any time day or night, even on bank holidays and weekends. Self-storage is the most flexible option, too. We understand that your requirements may change at any time: your business may need to store more stock in the summer than in the winter, for example. That’s why we make it easy to change the size of your storage unit at any time. If you no longer need your unit, you can leave whenever you like – all we ask is that you give us two weeks’ notice. Whatever type of storage you use will depend on your personal circumstances and budget, but you may be surprised at how versatile self-storage can be. 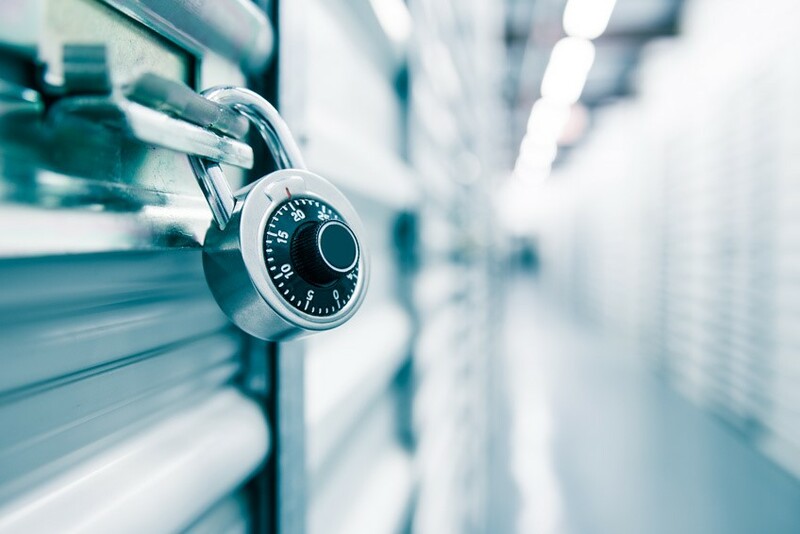 Titan Storage can provide warehousing space for your stock, a safe location for your sensitive documents and files and somewhere to keep those precious possessions under lock and key. For more information, request a quote today.